Home > Printable Coupons > Ocean Spray Coupon | Drinks For $1.14 ea. 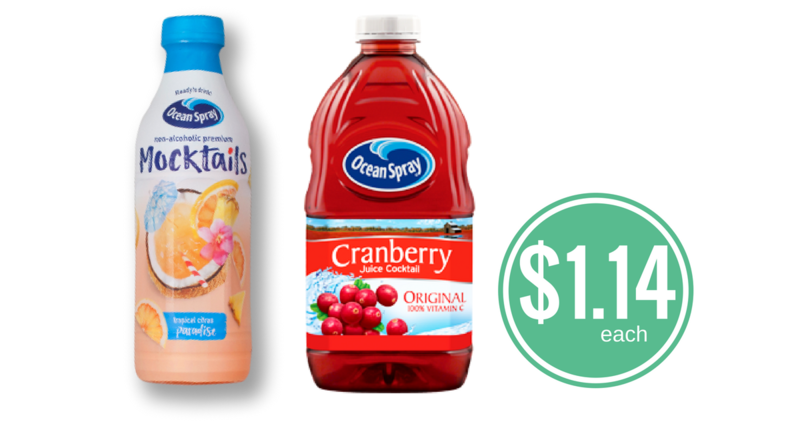 Ocean Spray Coupon | Drinks For $1.14 ea. Print a rare new Ocean Spray coupon and get a great deal on beverages this week! Use the new $2 off coupon at Target along with a Cartwheel to get Ocean Spray Cranberry juice and Ocean Spray Mocktails for $1.14 per bottle. It may cold and snowing where you live, but you can imagine you’re on a sunny beach with your mocktail in hand!